Thomas Joseph is originally from Montgomery, Alabama and has lived in Birmingham for the last 37 years. He attended Belhaven College in Jackson, Mississippi and graduated from Auburn University. He received a Masters Degree in Public and Private Management from Birmingham Southern College in 1987. After spending some years in the business world, Thomas felt that God was calling him into the ministry. He attended Beeson Divinity School on the campus of Samford University and graduated with a Masters of Divinity Degree in 1996. He was ordained in the Presbyterian Church in America in 1997 and has served as the pastor of Lake Crest Presbyterian Church in Hoover, Alabama since before his ordination. 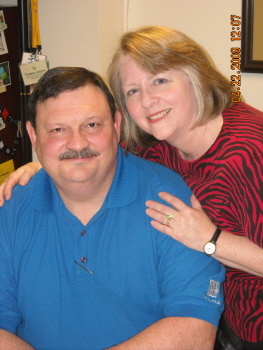 He also served Evangel Presbytery for some time in the position of Stated Clerk. Thomas is married to Birmingham native Peggy McDavid (38 years!). They have two children, Taylor and Edmund, and five grandchildren.